Blending brushes is an obsession for me and I believe for many! They are so extremely necessary and although we all have our preferences, the most sought for brush for blending is probably this round and slightly tapered type of shape. From all the brushes that I own and used, this is also probably the type that intrigued me the most. With this Blender brush the first challenge was to find the perfect balance between efficiency and softness. The second challenge was to create more than a blender brush: a reliable companion you’ll always want by your side. This brush is called a blender as this is likely to be its main mission, but it’s so much more than that. Made with dyed saikoho bristles for increased efficiency, the high density and tight bundling give this brush extreme blending capabilities, any blending job feels like a massage and ends in a seamless result! I love your squirrel Pencil One so much that I purchased 4 of them because I read your recent update that it will be re-designed with goat hair! I collect pencil brushes and yours is the best that I have come across. From the photos, I love the shape of your new Blender Pro! How does your Blender Pro compare to the Chikuhodo Z-11 Blending Brush in terms of density and softness (squirrel vs. dyed saikoho)? I own the Z-11 and I thought it would be more densely packed. I like the super softness and the shape but I wish it was more densely packed for washes of color and blending. The Z-11 has a flat dome shape that is different from the Wayne Goss 03/04. The shape of your Blender Pro looks like it is in between the flatter Z-11 and the tapered Wayne Goss 03. 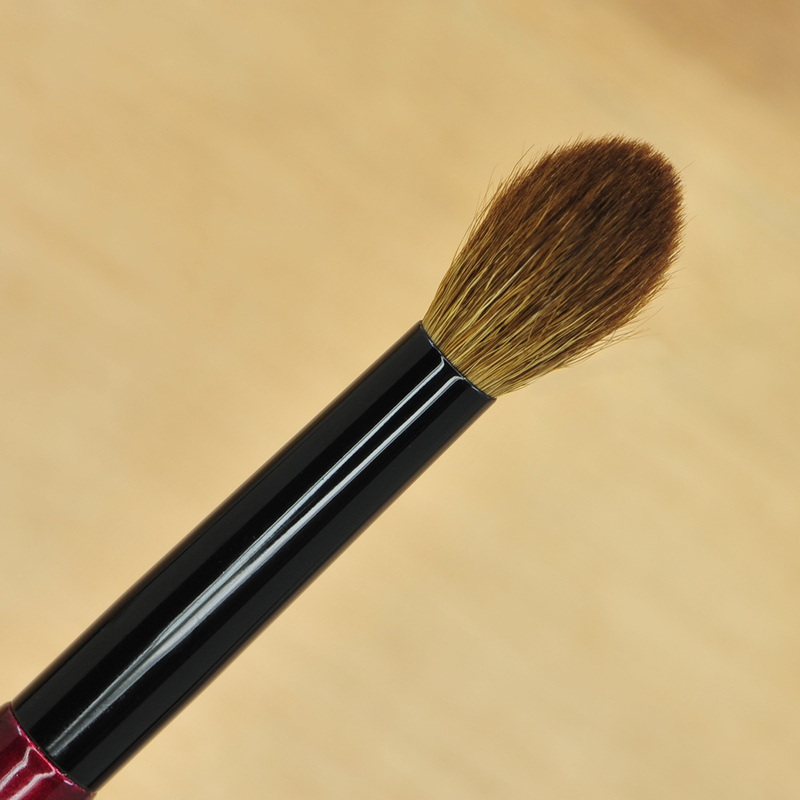 I have found that small pencil brushes like your Pencil One and the smaller but less soft squirrel Wayne Goss 05 work best to pack color into the part of my eyelid that folds under as it is small enough to tuck into the inner corner (which has a difficult inner corner fold like this photo here: https://en.wikipedia.org/wiki/File:Epicanthic_KR02.jpg). I can use the pencil brush to build the dark color at my eyelashes and most importantly get a precise and balanced shape all along the lash line and continue the precision moving upward. The other style brush that I use is a rounded blending brush for a wash of shimmery/glittery base color all over my lid from my eyelashes to my eyebrow and for blending out the darker colors that I have packed on very precisely with the pencil brush. Since you have so much experience with many different shapes of brushes, I was wondering if you have any ideas? I know that you do not have monolids but I thought it would be interesting to see if you have any “outside the box” suggestions that I have not thought of yet. I do strongly prefer very soft brushes because my eyelid skin is sensitive and I have to pack color in a specific way for my monolids. I’d also rather have a very soft brush that requires a little more time to build up color than have something that irritates my skin. Thank you for designing and producing such superior, quality brushes. I can see your passion coming through your brushes immediately which is totally different from less personal make-up brushes offered from brands like SUQQU. I look forward to info about your new Blender Pro and any ideas you have about monolid brushes! Waw! that’s amazing!!! thank you so so so much!! The replacement of Pencil One is also fantastic for your type of purpose, I hope you will love it too! Blender Pro is totally different compared to the Z-11, the Blender is much more strong and precise, it will be able to pick up any type of product and blend it efficiently, where it’s going to be very different is probably when working with more ageing eyelids, when I use the Z-11 on mine it cannot handle them, this brush is very soft, very pleasant to use but not strong enough to lift my hoods, if your skin is smooth and if you don’t have to “push” the skin up or really push the pigment onto the skin then the Z-11 is great. If you need a stronger, more directional brush, the Blender will be more useful. Yes the shape is domed, not pointy, not flat but in between. For your lids I would recommend the Pro Eye set, or more precisely the Builder Pro, the Worker Three and the futur Smudger one (this one will really be good for you), these are the three that you should consider in priority as they would really pair well with your eye shape. The futur Smudger One is very soft and more flexible than the current Smudger Two so I believe it could be ok even if you are sensitive near the lashline. It’s difficult to work near the lashline without feeling irritated, I know as I was there and had this issue for so many years, I made sure my brushes would be as soft as I could possible manage!! I hope this is helpful but please stick around as 2019 will be amazing! Many hugs and thank you so much for taking the time to comment and speak to me! Thank you so much for your reply and wonderful suggestions for my monolid eye shape. I greatly appreciate your vision, love and thoughtfulness that come through in your beautiful brushes. 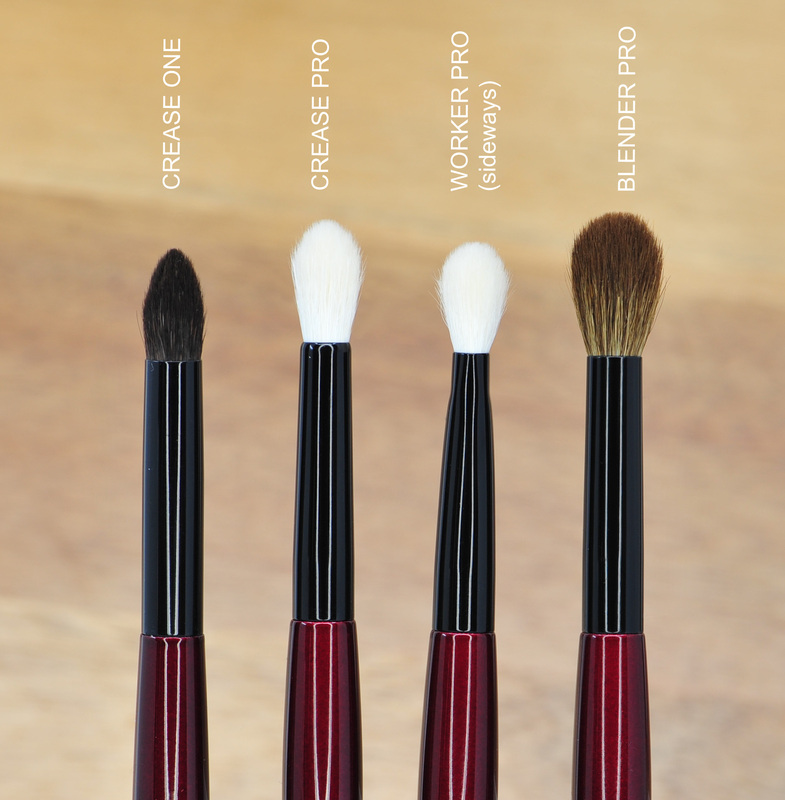 They are unique and unlike anything offered by brush companies – but most importantly, they work very effectively and efficiently. 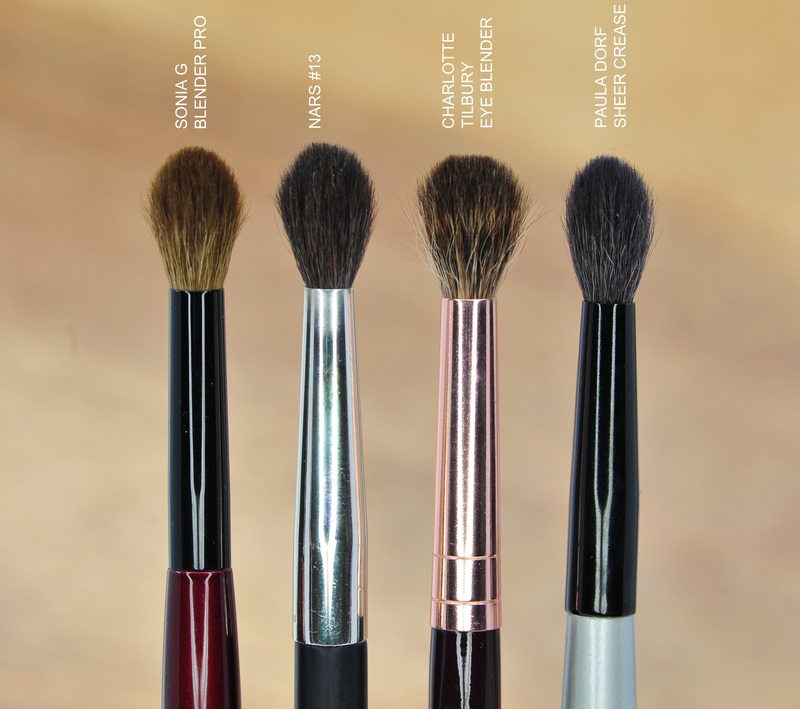 I am looking forward to the new brushes and will be ordering as soon as they are available on Beautylish! I will be travelling to Japan in March/April for my friend’s wedding and cherry blossom season but I will not be buying any fude there because your brushes are the best that I have found. Thank you again!